Of course maintenance on the roof, air conditioner, furnace and water heater are vital since all of these things have to be kept in working order so that our homes are comfortable and functional..... But what about design maintenance? Coming home to an aesthetically pleasing space can improve our daily outlook. Waking up, living and sleeping in beautiful surroundings can bring a sense of peace and joy into our lives. 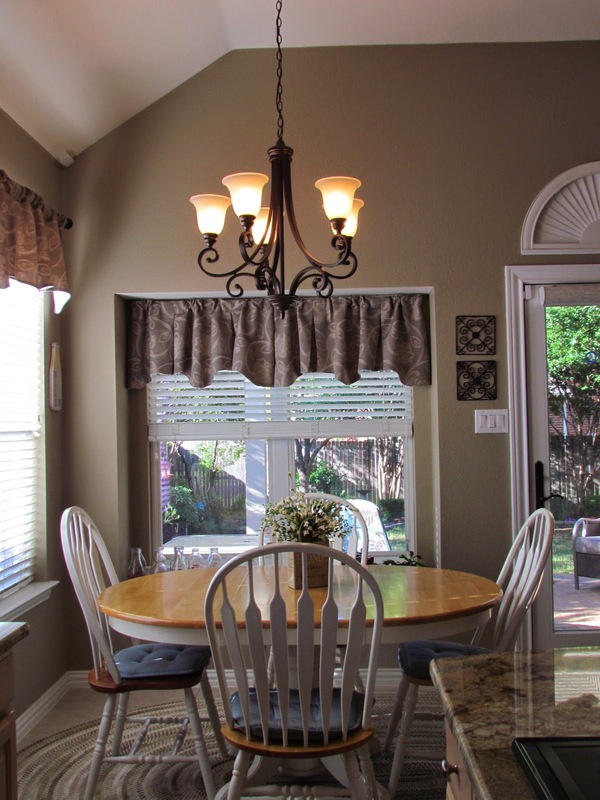 Design maintenance can be as simple as a fresh coat of paint or an update of hardware or lighting fixtures. Many times one change can transform an entire space. This seems to be extremely true with regards to traditional design. Many traditional designs have the bones of classic furniture already in place and when you update one or two things in the picture the entire space begins to take on a "current" look. 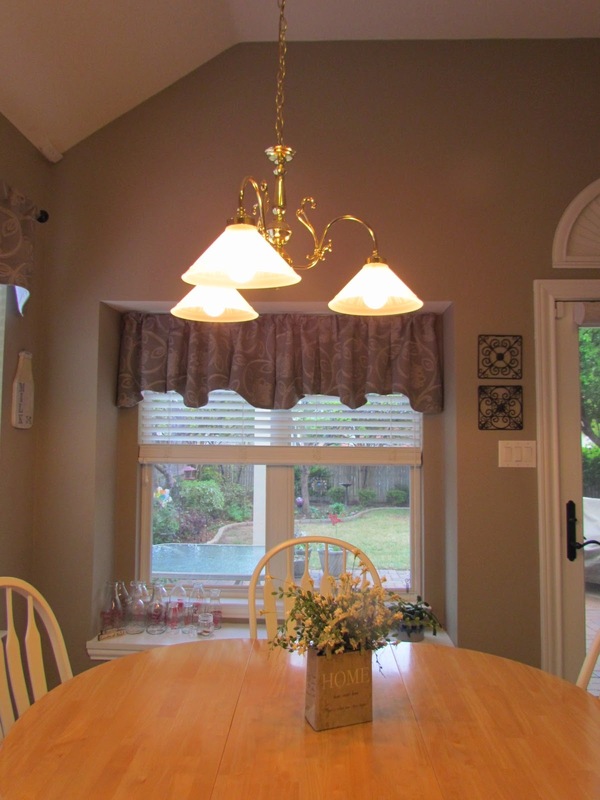 This space is completely transformed with the introduction of a bronze fixture. 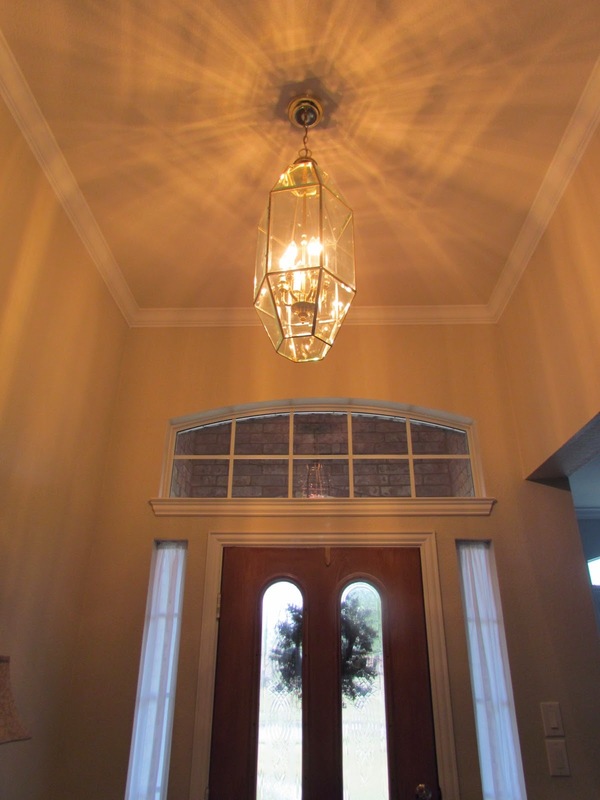 Even though the new fixture is actually smaller than the original - the bronze finish is perceived by the eye and the size allows the window above the door to be a standout element. In this space the new bronze fixture is quite a bit larger than the original brass one and the new chandelier faces up instead of down which tends to add a bit more elegance to the design. 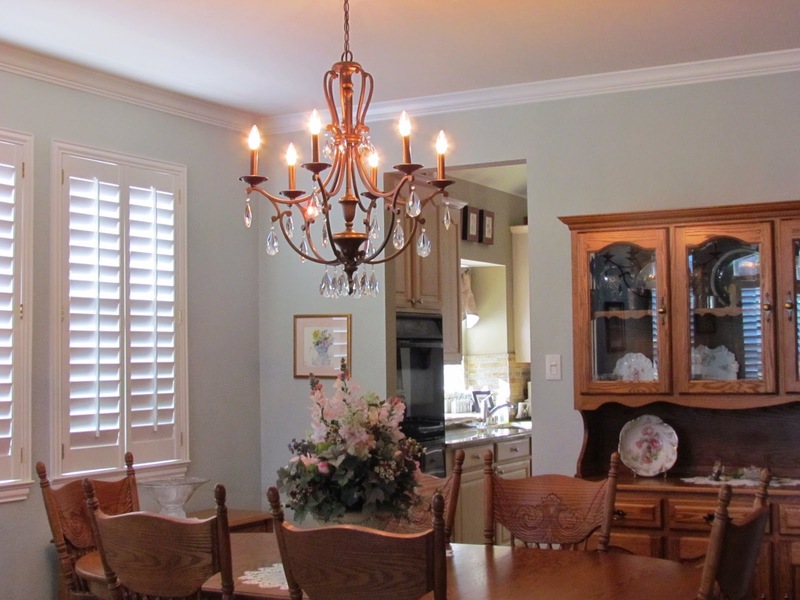 The bronze finish compliments additional design elements in the space such as the wall art and curtains. It truly updates the design. 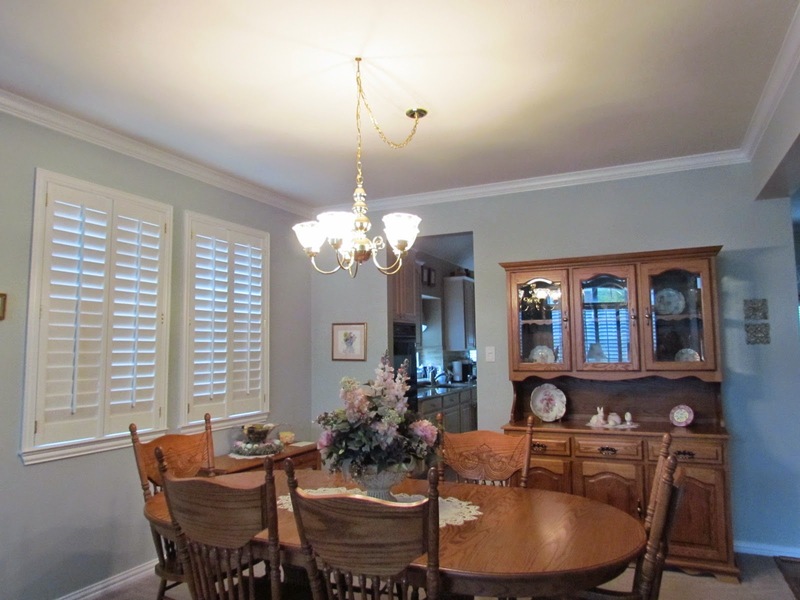 In the formal dining the homeowners have a beautiful suite of traditional furniture in the space. The new bronze and crystal chandelier adds an air of formality and elegance that the original brass one just could not achieve. 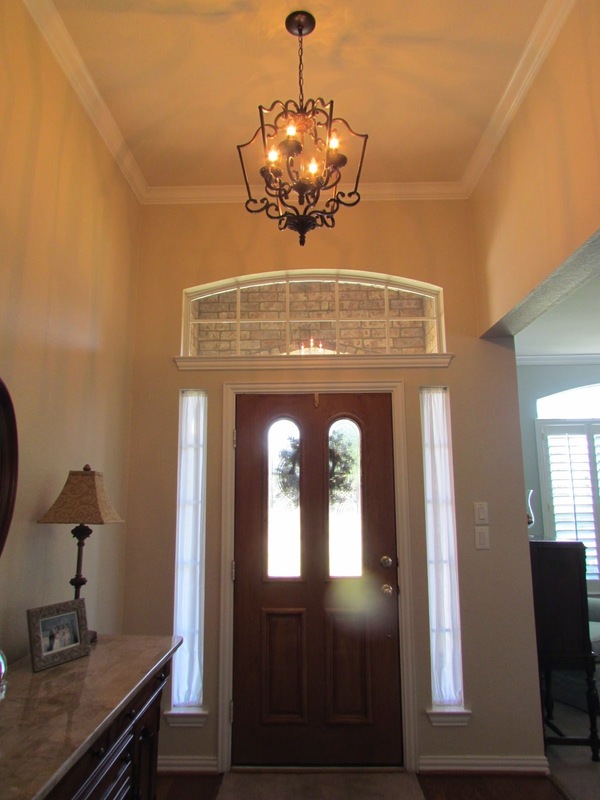 The finish on the new chandelier compliments the wood tones of the furniture and the size shows off the ceiling height as well as the crown molding.